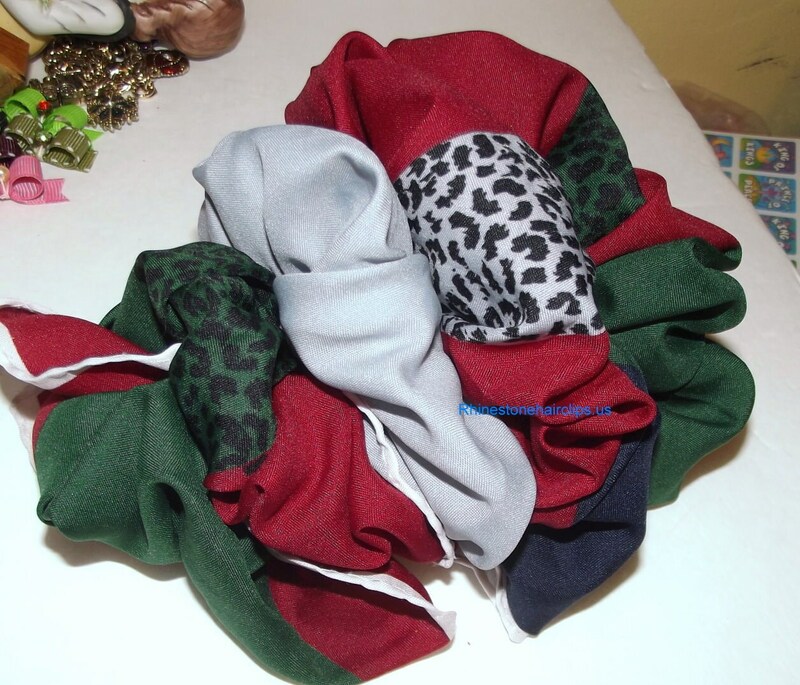 I have created this beautiful bow using a scarf. It is hand sewn onto a 3" french barrette. 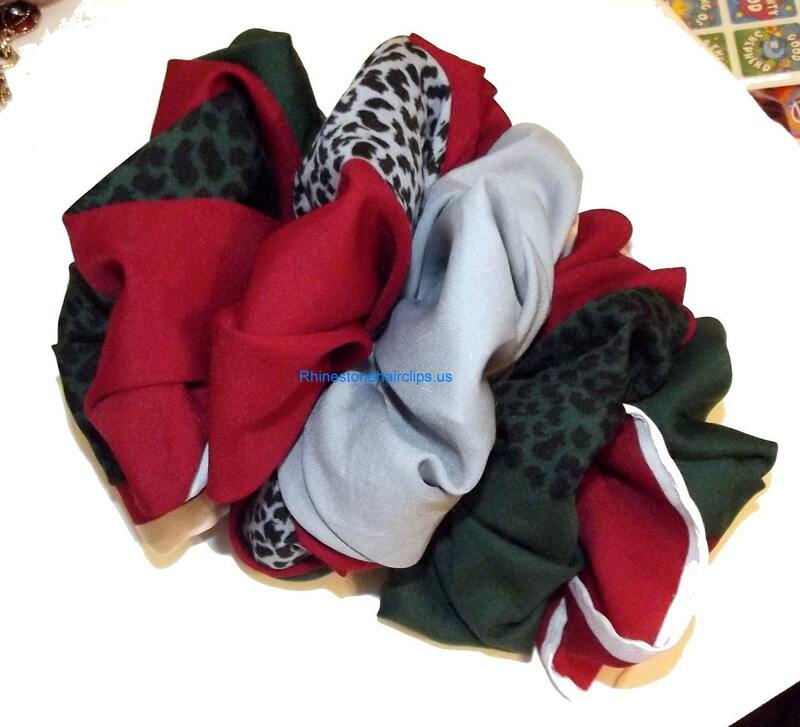 It is burgundy, hunter green and gray with a leopard pattern. It measures 7" x 5"